Tired of being turned down for a pay raise? Looking for a way to make more money without having to nag your friends on social media to buy products that are a waste of money? 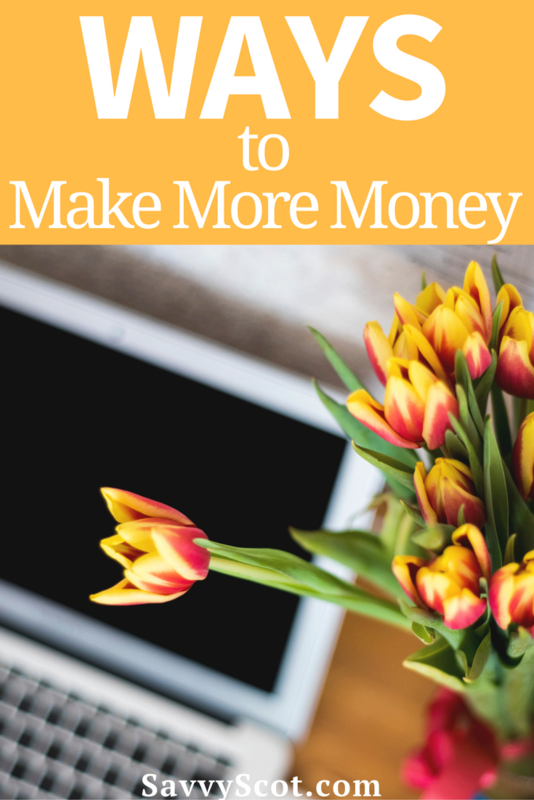 Try these ways to make more money. If you haven’t already been asking for a pay raise or promotion, that’s the first thing you should try. Sometimes the only thing you have to do it ask. Crafty? Set up an Etsy shop. Seller’s on Etsy craft and sell wares such as cloth diapers, paintings, wood carvings, planner accessories, and more. Sell your talent. Music, painting, editing, drawing, and even photography are all ways to earn some extra cash. Advertise your services to your friends on social media for free. Become a Virtual Assistant. If you have extra time in between your everyday tasks, this job may be perfect for you. Virtual Assistants can find work completing tasks as simple as curating content for major brands, or managing social media for a client. The hours are flexible and the pay rate is pretty good. Sell your old belongings. This is normally one of the first things people suggest when suggesting ways to make more money. That’s because it works! There’s no need to keep old electronics and clothes lying around. Turn them into cash. Do odd jobs for your neighbors and friends. Painting, helping move furniture, and even mowing yards can bring in some extra euros. Teach online classes. If you are knowledgable in one area, put that knowledge to work. Some universities, high schools, or even just everyday people hire online teachers and tutors. If English is your first language, you can teach those trying to learn. These types of jobs tend to let you set your own hours, making it a great supplemental income to a full time job. For those who are extroverted, become a tour guide. Offer tours of locations near you. Guided tours can be a big hit. Offer photography tours or taste tours featuring the best restaurants in your area. Nobody wants to leave their pet behind for a lengthy holiday, but bringing them along isn’t always an option. Find a job pet sitting for people on holiday and you will be making more money in no time. The majority of bloggers do not earn anything, let alone a full time income from their blog. Create a niche blog and you can be one of those that turn blogging into a business. Bloggers who work with product endorsements or affiliate marketing can make a lot of money. Don’t want to create your own blog? No problem. Some blogs hire other writers for content. Savvy Scot accepts post submissions. Make money writing by submitting your well-written posts to other bloggers. If you are great with kids and home during the day, take on watching a few children. People who work odd hours may be willing to pay a premium to have a reliable sitter. Turn your baking hobby into a profitable income by selling cookies, pastries, and cakes. Do you consider yourself neat and tidy? Those that are tidy can make money by organizing other peoples homes. With websites like pinterest, most of the work has already been done for you. Make searching the web profitable and earn gift cards to your favorite retailers such as Amazon by using websites like Swagbucks. Swagbucks pays you for things such as answering polls, internet searches, taking surveys, and playing games. While all of these are great ways to make more money, one of the best ways is to take a good look at your budget and spending habits and see where you can cut back. While this isn’t technically making money, it will allow you to keep more of what you make.